Born in Canada to Senegalese parents, Ms Lehlé Baldé is a pan African strategy and communications professional and a passionate financial inclusion advocate. She has lived in over 11 countries: Canada, Madagascar, U.K, Kenya, Italy, Swaziland, Rwanda, Cameroun, Senegal, Mozambique, Nigeria and has visited many more. She speaks French and English fluently in addition to conversational Spanish and Fulani. Ms. Baldé holds a BA in communication from the University of Waterloo in Canada and a master’s degree in international marketing Strategy from the University of Northampton in the United Kingdom. She currently works in strategy and partnerships at West Africa’s most authoritative daily and content producer Business Day. Apart from her responsibilities in strategy and partnerships at Business Day, Ms Baldé uses her communication background and passion for socio-economic issues to shed light on these issues using various media platforms such as print, online, television and radio. Ms Baldé is the anchor of Financial Inclusion Today a radio show program on Rhythm 93.7 powered by the Bill and Melinda Gates Foundation. The radio show is the first of its kind in the world and started as an effort to foster conversation and raise awareness on financial inclusion issues in Nigeria. Stream the show here. Ms. Baldé is also the editor of the Business Day CEO magazine a digital magazine that tells the stories of African millennial entrepreneurs. 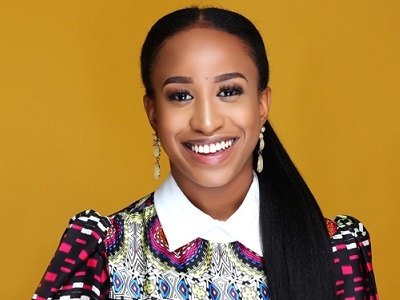 She is the co-executive producer of The Bridge Talk Show season 2, which is a television program aimed to bridge the financial knowledge and information gap for millennials. Season 1 was sponsored by the Central Bank of Nigeria. Season 2 and 3 are sponsored by First City Monument Bank and FIRS (Federal Inland Revenue Services). Ms. Baldé has worked with both the public and the private sectors in the UK, Nigeria, Mozambique, Cameroun, and Canada. She regularly moderates conferences and panels on issues she is passionate about. Ms.Baldé is particularly passionate about financial inclusion, travel, writing, development, human rights and the continent of Africa. Ms. Baldé does not stop there: she is the co-founder of a language company called Translations Africa. Translation Africa provides translation and language services to organizations, start-ups, and individuals who need top quality translations from French to English or English to French. Translations Africa aims to act as a bridge for organizations, business, and individuals looking to expand their business, brand or presence throughout Africa.